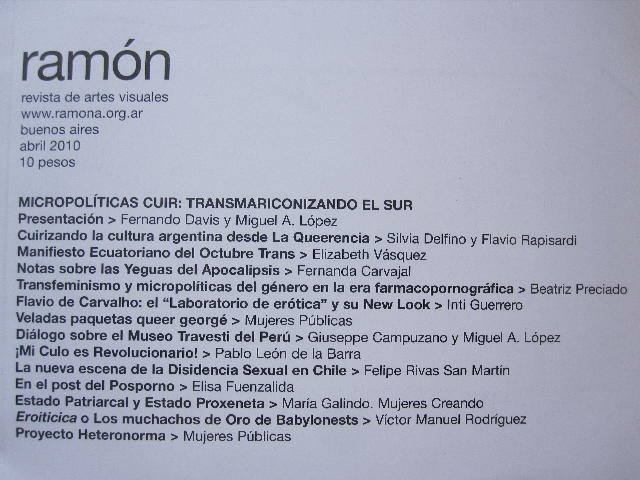 The next to last issue of argentinian arts and thought magazine Ramona, was edited by Miguel Lopez and Fernando Davis under the topic of queer micropolitcs: transhomosexualizing the south and constitutes a succesfull attempt to construct a constellation of current research, thought and action in post homo, lesbian, gender, transgender studies in Latin America and its relationship to aesthetics, culture and politics. 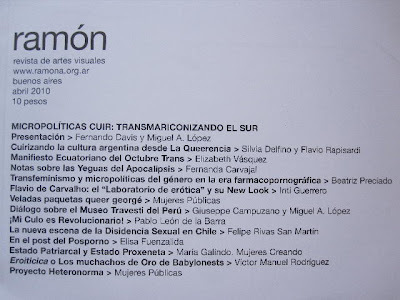 Collaborators include: Escriben en esta edición: Silvia Delfino, Flavio Rapisardi, Elizabeth Vásquez / Proyecto Trvnsgén3ro, Beatriz Preciado, Fernanda Carvajal, Inti Guerrero, Mujeres Públicas, Pablo León de la Barra, Giuseppe Campuzano, Felipe Rivas San Martín, Elisa Fuenzalida, María Galindo / Mujeres Creando, Víctor Manuel Rodríguez, Miguel A. López y Fernando Davis. 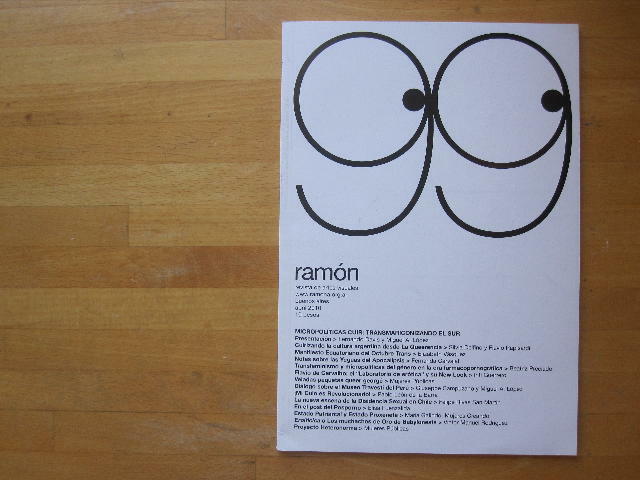 You can download Ramon 99 here. read my text for Ramona 99 in the previous post!